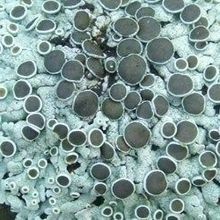 Brazilian researchers report a relatively large diversity of fungi in marine ecosystems surrounding Antarctica, but warn that climate change could bring unpleasant surprises. 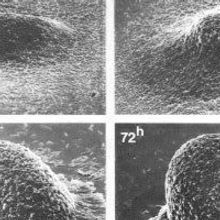 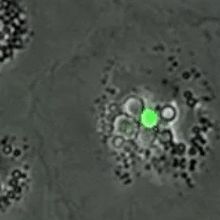 The deadly fungus Cryptococcus deuterogattii harbors a genetic tweak that propels its mutation rate and allows it to rapidly develop antifungal resistance. 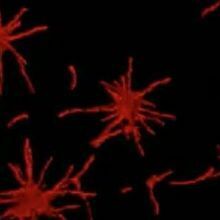 The fungus Aspergillus fumigatus begins to grow biofilms as it develops into a larger intertwined network. 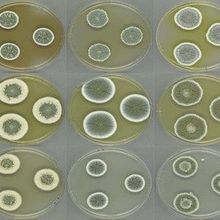 By sequencing and analyzing the genomes of more than 20 species of Penicillium fungi, researches uncovered genes encoding for numerous bioactive compounds, including antibiotics. 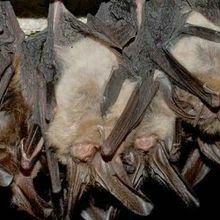 The pathogenic fungus that has decimated populations of bats throughout the eastern United States has surfaced in the state for the first time, although none of the bats appear diseased. 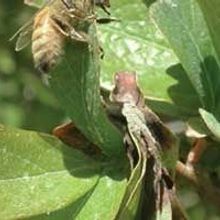 Mummy berry disease coats blueberry leaves with sweet, sticky stains that smell like flowers, luring in passing insects to spread fungal spores. 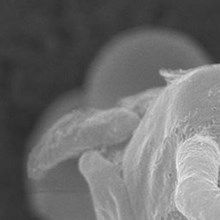 The partnering of an alga and a fungus to make lichen may be only two-thirds of the equation.